Mutual Funds and ETFs. Which investment approach is right for you? Mutual Funds and ETFs. Which investment approach is right for your portfolio? 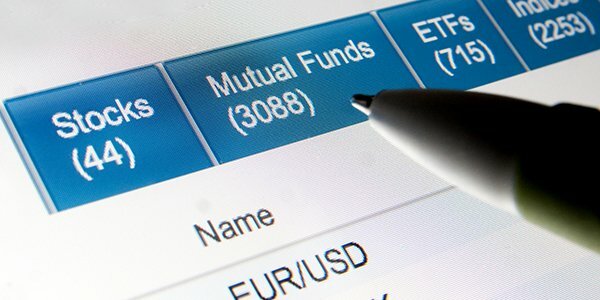 Mutual funds and ETFs (exchange traded funds) share many similarities. They are both pooled investment vehicles that invest in individual securities. They can be benchmarked to an index or follow a specific strategy defined by the manager. But there are a few differences that are important for investors to understand. Other than the fact ETFs trade on an exchange, and can be bought or sold during the trading day and mutual funds are valued at the close of the day and can be bought or redeemed at that valuation, the big difference is in the commissions and fees investors are charged. There are two charges to an investor whether they invest in a mutual fund or an ETF. The commissions they pay their broker and the fees associated with managing the ETF or mutual fund. When you buy or sell an ETF, you will pay a commission to your broker just like you would if you bought or sold a stock. This can be negotiated up front or in the case of a discount broker can be a fixed dollar amount. When you buy or sell a mutual fund it can get a bit more complicated. In a comparison of mutual funds and ETFs, there are varying types and degrees of commissions and charges your broker or mutual fund dealer can bill you. If you are paying an up front commission this will be charged on the amount you are investing and the remainder will be invested in the fund. For example, if your broker is charging you a 2% commission and you invest $10,000, $200 goes to the broker and $9,800 is invested in the fund. Mutual fund companies also pay trailing commissions to the brokers who sell their funds. This can be anywhere from 0 to 1% per year of the value of the investment. These trailing commissions are paid out from the management fee the mutual fund manager charges the fund. A bit more on that later. Mutual funds can also have deferred sales charges. This is a charge you may pay if you sell a mutual fund before a certain time. Often this will be on a declining schedule. For example, if you sell a mutual fund with a deferred sales charge within a year you may pay a 6% charge, after two years 5% and so on. Depending on your time horizon and your personal financial circumstances this can be to your benefit or a pretty steep penalty. Both Mutual Funds and ETFs are similar when it comes to management fees however these fees are much lower for ETFs. In both cases the manager of the fund will charge what is disclosed as a management expense ratio (MER). This is the percent per year the manager charges to manage the fund as well as cover all of the associated expenses. The big difference between mutual funds and ETFs is that the MER of a mutual fund can be multiples of the MER of an ETF. For example, many large Canadian equity mutual funds have MERs around 2% versus the iShares S&P/TSX 60 Index ETF with a MER of 0.18%, more than ten times less. Investors should always know what fees they are paying since those commissions and charges can be a large drag on performance over time. 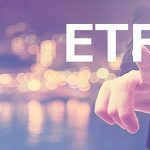 ETFs are often a better solution for individuals looking to invest their money in a low cost, diversified manner. 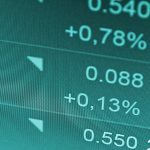 Inukshuk Capital Management is an independent investment manager focused on cost-effective ETF investing using strategies designed to maximize risk-adjusted returns. We use a disciplined, quantitative approach to design tailored portfolio management solutions for individuals and institutions. Inukshuk Capital Management is also the manager of the Inukshuk Opportunities Fund LP, a systematic, multi-asset class, long/short global investment fund. https://inukshukcapital.com/wp-content/uploads/2016/11/Mutual-Funds-and-ETFs.jpg 300 600 Inukshuk Capital Management Inc. https://inukshukcapital.com/wp-content/uploads/2014/11/inukshuk_logo_site.png Inukshuk Capital Management Inc.2016-11-28 18:49:192018-04-08 15:54:42Mutual Funds and ETFs. Which investment approach is right for your portfolio?